YouTuber, That Dude In Blue, reviews the worst Pimp My Ride episode ever – and it features a Nissan 240SX. 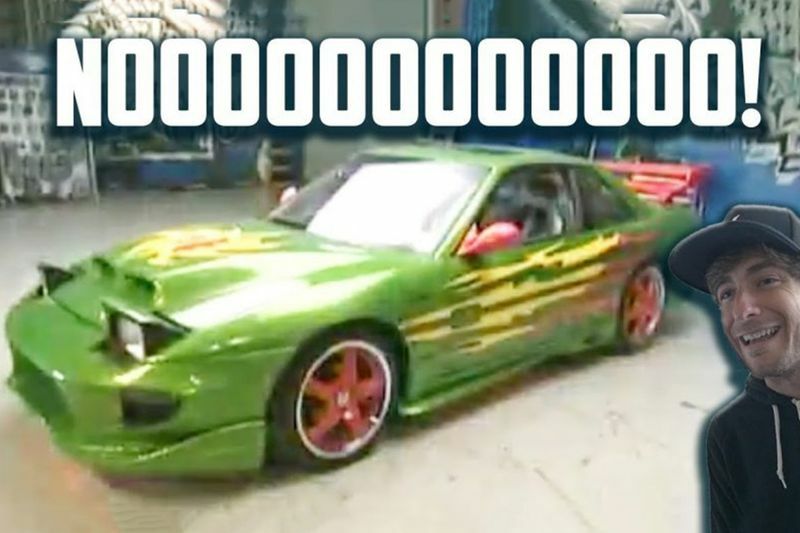 In a pretty hilarious video, David Patterson reviews The worst Nissan 240SX episode of the Pimp My Ride TV show. To make matters even worse they took their inspiration from the video game Need for Speed and designed the car, then made the car in real life. Using video games to get a rough idea of what you want your car to look like is not a bad thing at all, I do it, my friends in the car scene do it, but Pimp My Ride still manages to get to this result. It's pretty much like the rival cars you drive up against in Need For Speed Underground 2, no taste whatsoever, it's just a bowl of complete rice (that means Race Inspired Cosmetic Enhancement for those who don't know). From the paint colour to the vinyl, body kit and wheels, it's a complete and pretty cringe-worthy disaster. Have a look at this hilarious review from David Patterson below, let us know what you think.